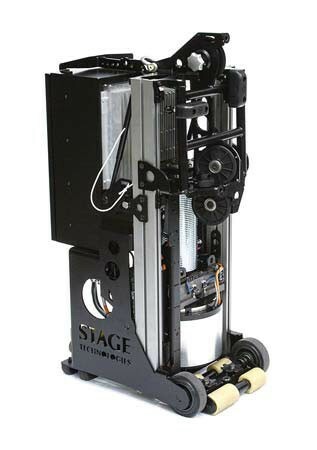 Stage Technologies will be launching the TipTow point hoist at this year's PLASA show. The TipTow is a virtually silent, gearbox-less point hoist designed for use in theatre, TV and film. Its radical new design provides a feature rich, compact and portable solution for scenery or performer flying. For minimum noise, the motor and drum are directly coupled thus eliminating high speed transmission components. Drop by stand D10 during PLASA Show 2013 and see it for yourself. For more information about the TipTow visit Stage Technologies website.